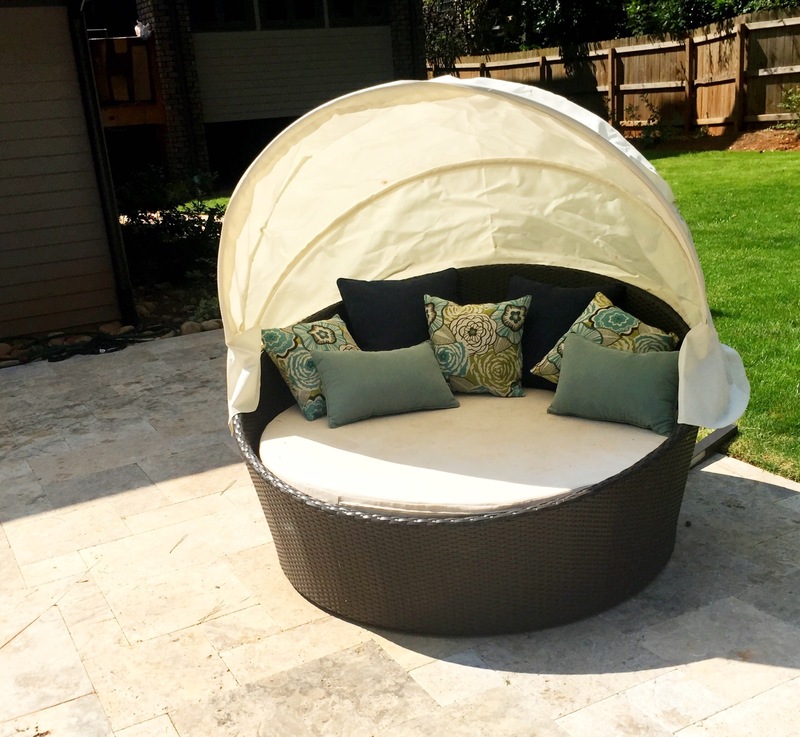 RELAX IN STYLE. 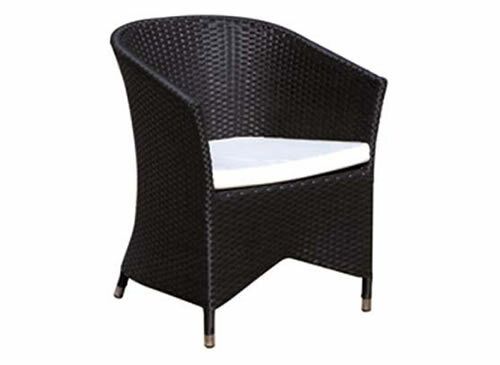 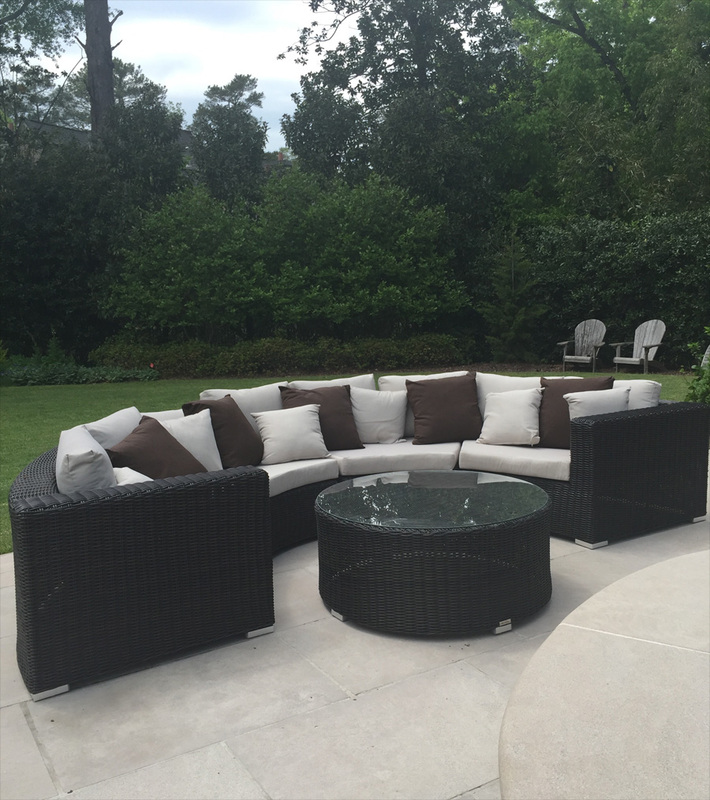 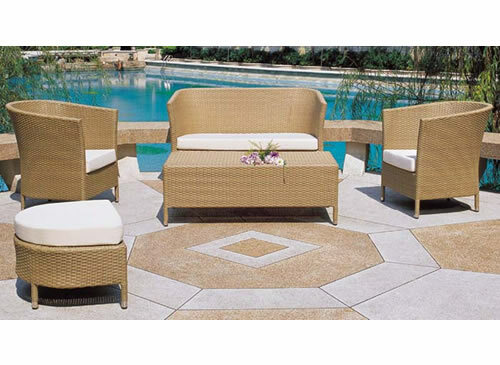 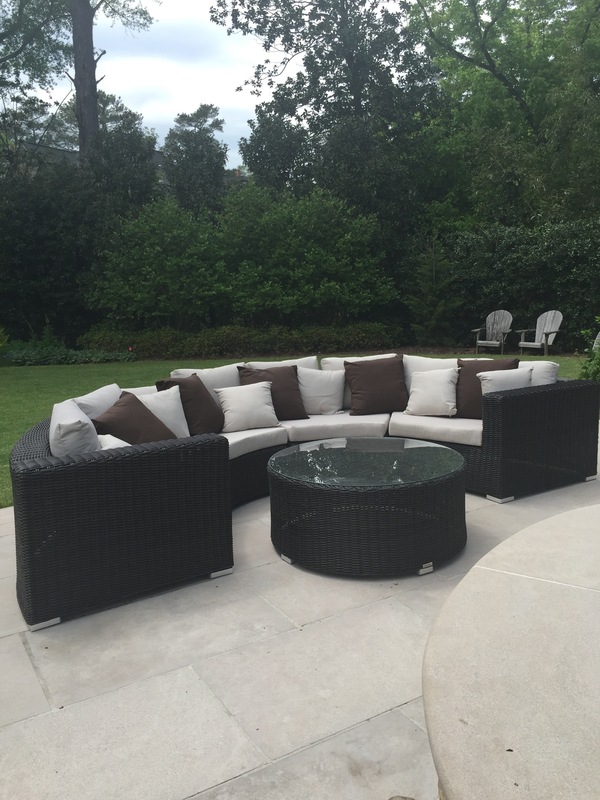 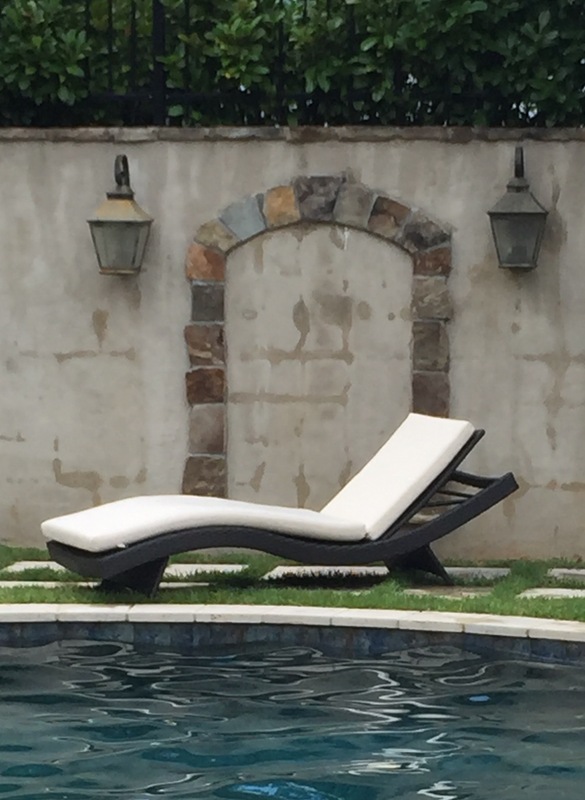 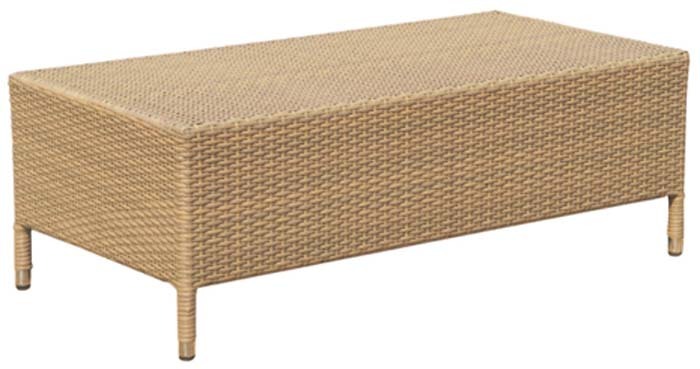 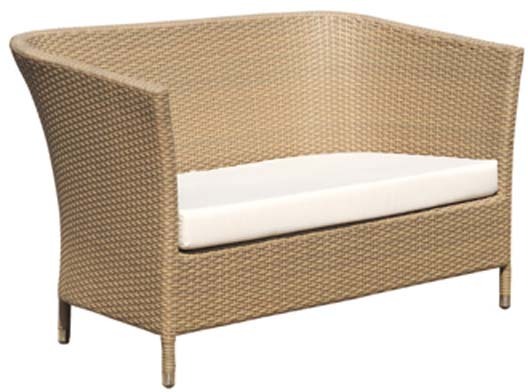 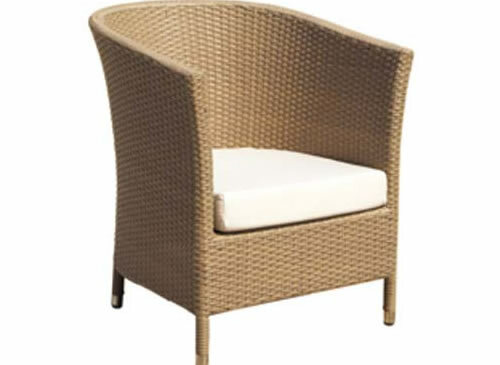 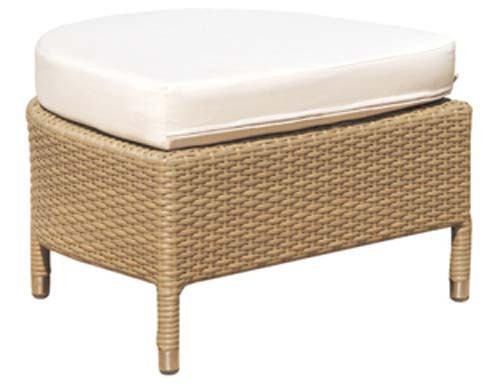 THE SOFT ROUNDED LINES OF THE MARIANO COLLECTION MAKE IT A UNIQUE ADDITION TO ANY OUTDOOR SPACE. 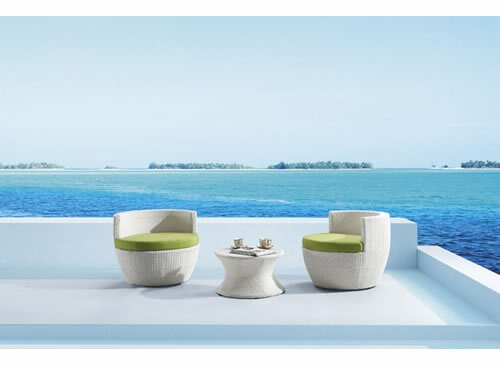 IT’S STYLISH AND INNOVATIVE DESIGN, THE MARIANO APPEALS TO A WIDE RANGE OF PERSONAL SYTLES TO SET IT APART. 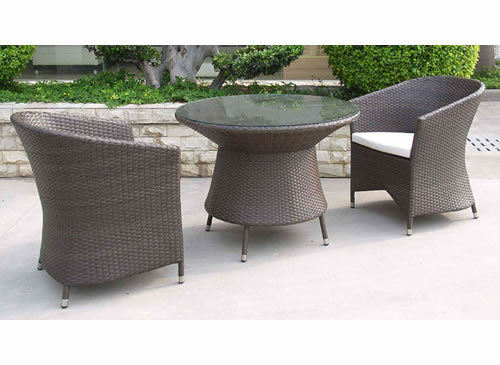 2x swivel chairs: D30''x24'' 1x side table: D22"x13"
Loveseat: 54''x28''x32'' 2x lounge chairs: 27"x28"x32" 1x ottoman: 24"x20"x13" 1x cocktail table: 47"x24"x17"
Dining table with tempered glass top: 40"x30" 2x dining chairs: 28"x27"x33"